My last post was about one of the more pricey meals (if you can even call it that) we ate at Hong Kong, and this post is about one of the cheapest. In fact, this is the cheapest Michelin starred restaurant in the world! 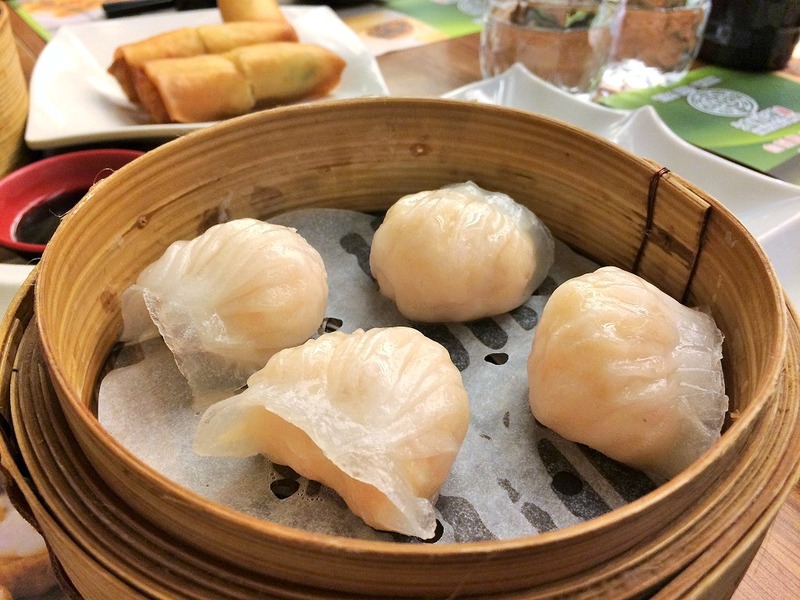 Before we get on with this post, I have to first tell you that I’m not a huge fan of dim sum. 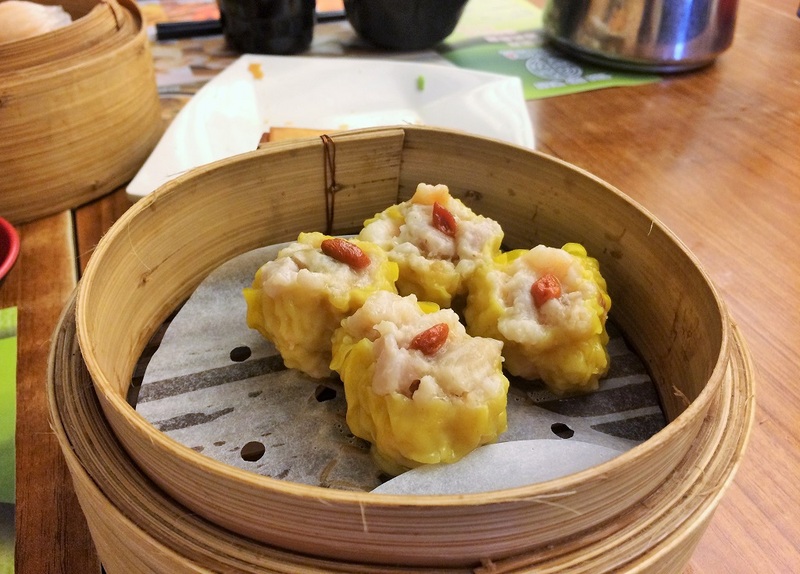 Dim sum is an old Cantonese tradition of small plates of snack foods being shared between a table of people. Basically, think of it as Cantonese tapas, and with hot tea instead of wine. 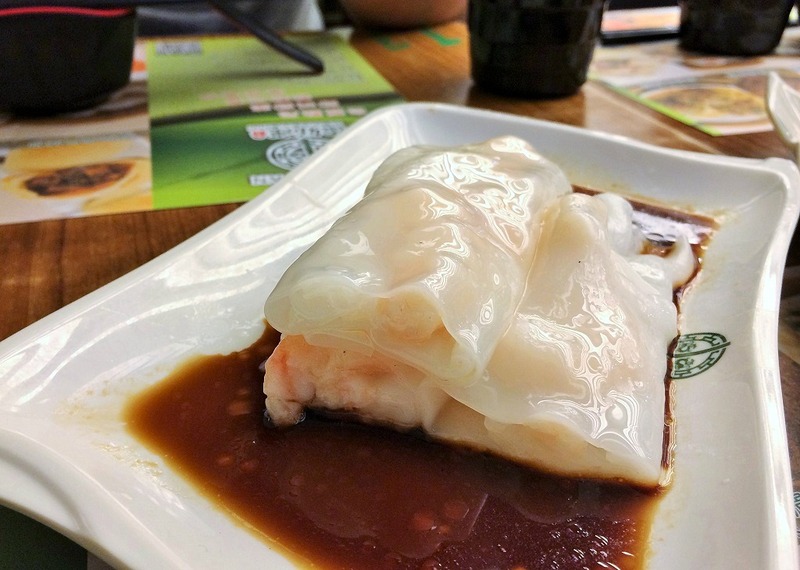 And Tim Ho Wan is among Hong Kong’s most popular dim sum restaurants, due to its one Michelin star. I guess Cantonese food, in general, has never suited my palette (I prefer more fiery), but D is a huge fan and of course, no way would I pass up the opportunity to dine at a Michelin establishment, especially if it’s one with hole-in-the-wall prices. We got off the subway station at Sham Shui Po, and followed our GPS to the address of the restaurant. We walked along a little residential street lined with small mom-and-pop convenience stores. Practically nobody was out. There’s no way a Michelin star restaurant could be located at the end of this ramshackle and strangely deserted street, I thought. I kept on double checking the map to make sure we were in the right place. Yep, the street name was definitely correct. So we continued on. If not for Adelina’s post with a picture of the storefront, I would have entirely missed it. Though I guess all the Michelin stickers on the door should have been pretty obvious. I was on the lookout for a restaurant with a “Tim Ho Wan” sign, but as far as I could see, the name was all in Chinese characters. here’s what the storefront looks like, so don’t miss it! We arrived at just about 11 am and I was worried that there would be a wait. But we seemed to have lucked out and was seated at a table right away (though it was shared with a group of 3 women, but hey, that’s dining out in Hong Kong for you!). We went a little nuts and ordered a bit of everything: dumplings, rice, buns, spring rolls. At Tim Ho Wan, you don’t get condiments on the table. Nope, no vinegar or chili paste to make your own dipping sauce. I believe this is because you’re supposed to eat each item as served and taste each flavor as intended. I guess this speaks to the high quality of ingredients. 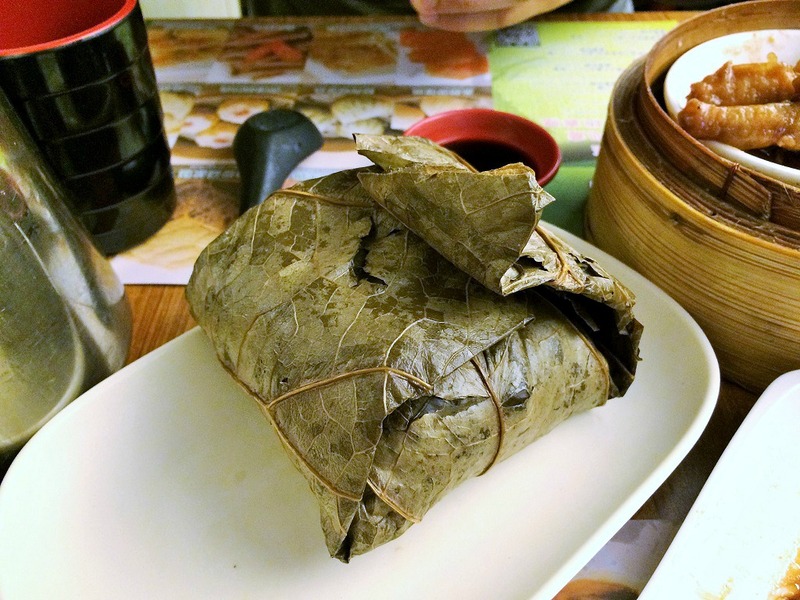 The first Tim Ho Wan restaurant was opened in 2009 in the Mongkok area (and has since expanded to several other locations) by chef Mak Kwai Pui, previously of the three-Michelin-starred Lung King Heen fame. 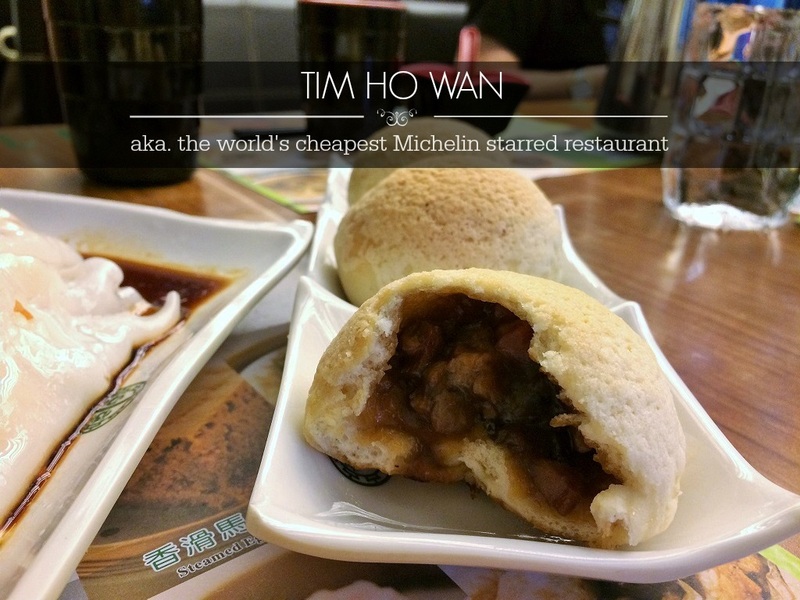 His mission for Tim Ho Wan was simple: to make fresh, high quality dim sum affordable for everyone. This means that each and every dish is made cooked to order, with ingredients that have never been frozen. But don’t worry, you don’t have to wait long at all for your food. Within minutes, we had a spread of plates and bamboo steamers on our table. These shrimp dumplings were the best I’ve ever had! First of all, each dumpling contained 3 whole shrimp (instead of shrimp balls as some dim sum places do). But not only is the filling important when it comes to a good shrimp dumplings, the skin plays a major part too. The skin here is so thin and translucent with the right amount of stickiness. I’m actually not that adventurous when it comes to food, and braised chicken feet is on my list of “yuck, I’m never eating that” foods. Actually, I’ve tried it before and I just cannot get past the weird fatty gelatinous texture. 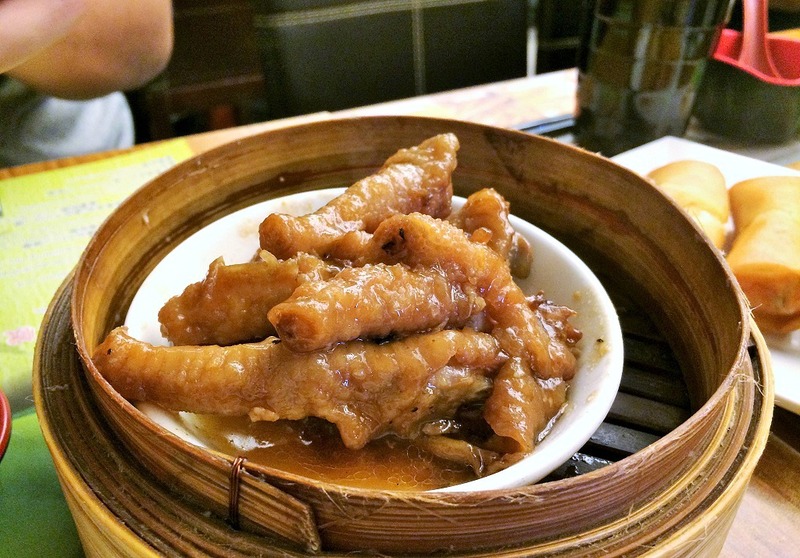 However, chicken feet is a dim sum staple and D happens to love sucking on these swollen little claws. Unfortunately, this was the only dish he was disappointed with. A good braised chicken feet should be so tender that the skin just falls apart in your mouth, easily leaving the bones to spit out. However, D says that the texture on these was extremely inconsistent. 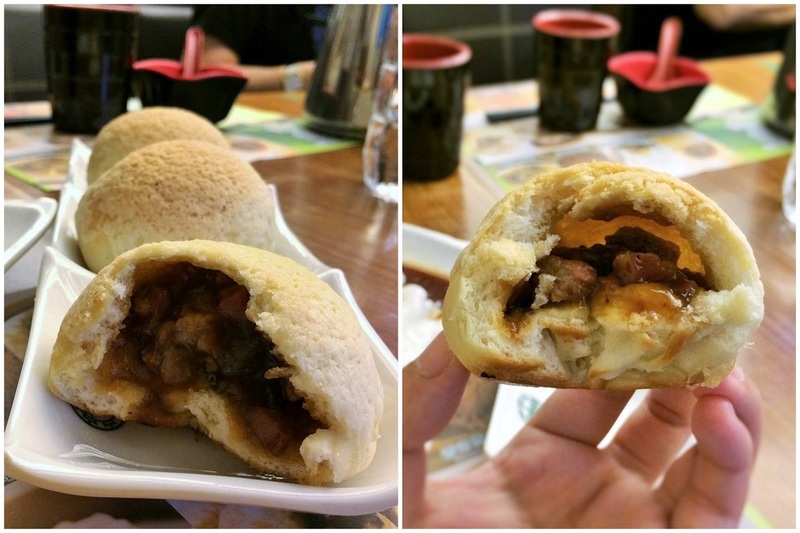 But it’s okay, for this made up for everything: the crowning glory of the restaurant – bbq pork buns! This is what everyone raves about, and you’d better believe they’re magnificent. These are baked with a layer of condensed milk on top, which turns into a deliciously crispy and sweet crust. The juicy bbq pork filling is sweet and salty and the whole thing is just a happy explosion of flavor in your mouth. 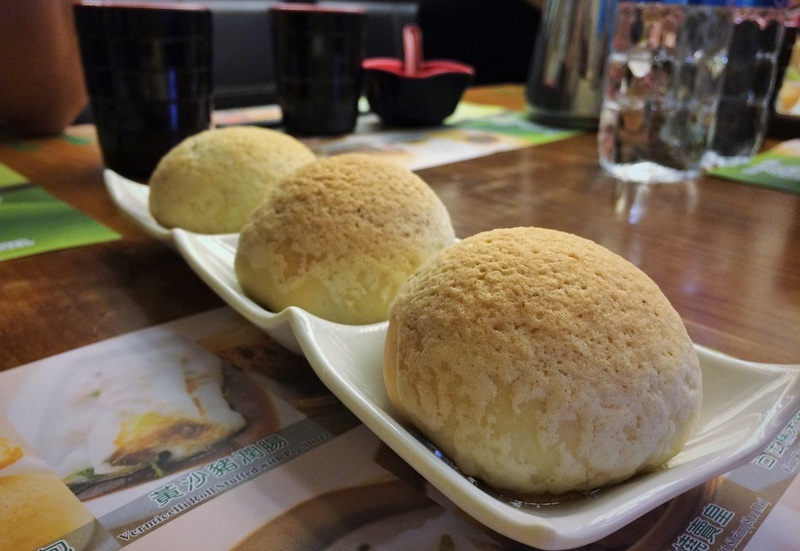 So, did Tim Ho Wan live up to its acclaim? 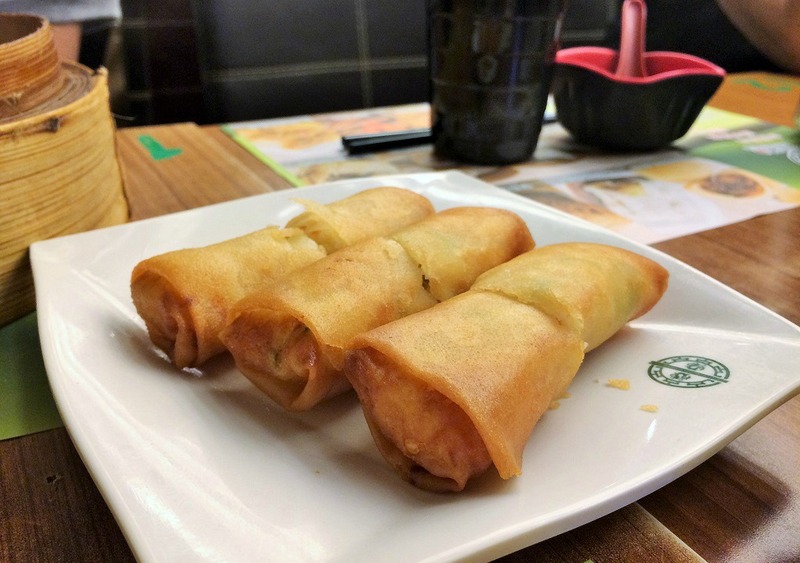 Each dish was incredibly fresh tasting and excellently executed, so I’d have to say that Tim Ho Wan combined everything I love about dining: prestige, low prices, and plain simple deliciousness. I think it certainly delivered on its promise of affordable dim sum at a high quality. I can’t really ask for anything more, and at those prices, I definitely can’t complain. Because the best part? The total damage for two people to dine at this Michelin starred restaurant was a mere HK$159, or US$20.50. The original Mongkok location has closed, but there are still several other locations (including internationally!). 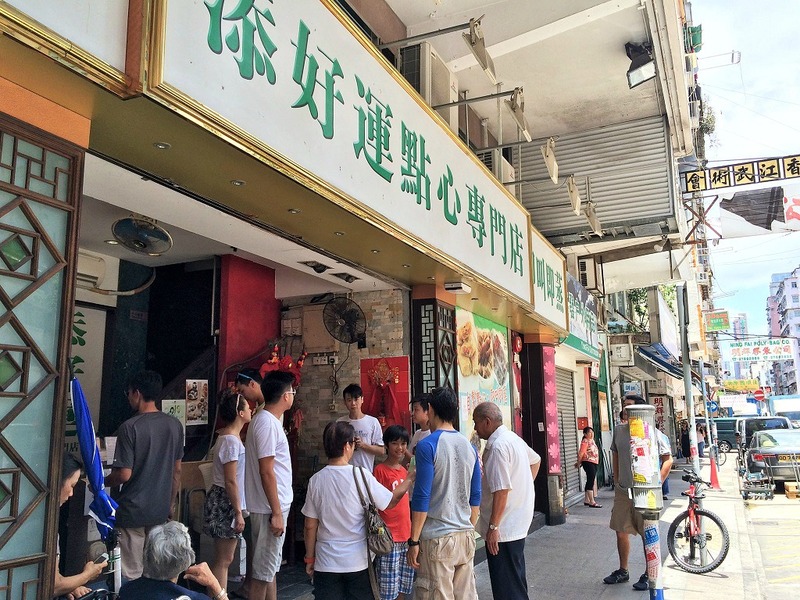 However the Sham Shui Po location is the only one with a Michelin star. Other tips: cash only, and no English menu. There is a photo menu but it does not feature every item. You may want to go prepared with photos or translations. Are you a fan of dim sum? What Michelin starred restaurants have you been to? Oooh! I’m glad you went to go check it out! Seems like you had a much better experience than I did. I want more of those BBQ buns! So good. I really can’t complain when it’s so cheap like that! I never been a huge fan of dim sum, but I like how everything tasted so fresh here. I’m sorry you didn’t have a good experience when you went :(. This restaurant looks absolutely amazing, and it’s even better that it’s affordable! I’ve only had dim sum a few times, but I’d probably stick to the traditional items like you did. Those BBQ buns looks amazing! They were seriously the best I’ve had, because it’s not the usual white fluffy bun. I couldn’t believe that this place has a Michelin star and is so cheap still! You know, they are fast becoming the fastest growing franchise in KL now. 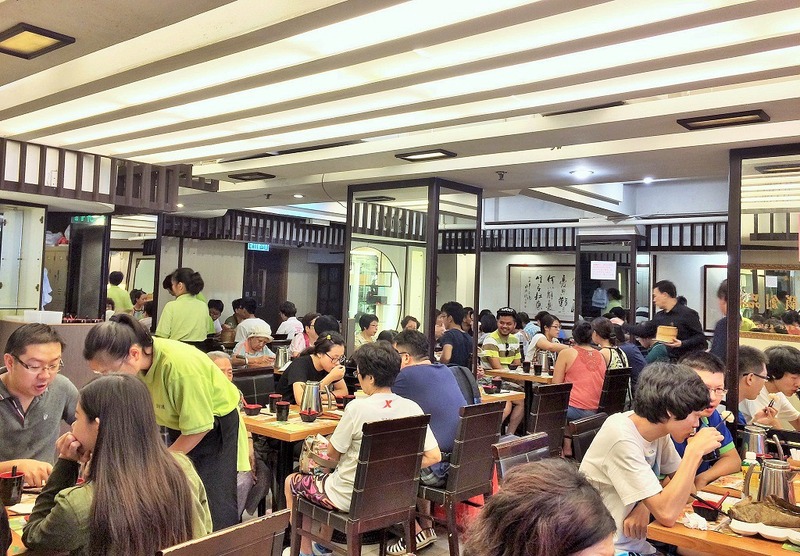 You can find Tim Ho Wan outlets is almost all the major malls in KL. I am ashamed to say I have not tried them yet though. There are always queues, and I don’t do well with queues. Oh really. I was surprised at how many locations they have internationally now!! I wonder if those mall outlets are as good. I don’t think I would line up for it either, haha (because I just don’t love dim sum that much). We were so lucky that we didn’t have to wait at all. Yummm, you are a lucky gal! I would love to go to a place like this! Yeah! I don’t think I’d ever be able to afford any other Michelin starred restaurants, so this one was great!! I’m still a prefer my beloved Chinese dumplings over these Cantonese ones. The wrapper and fillings are different. I like when nothing else is added to the food too. Sometimes, you can just tell when something is drenched in sauce to mask inferior ingredients! How can you not normally like dim sum?! It’s the best Anna! But this place sounds like such a great find particularly as it seems like it’s in a place where you’d never be able to second guess how good it’s going to be! Those bbq pork buns sound incredible! They’re always one of my favourite things to order at dim sum! Ooooooh, I want to visit – for the acclaimed BBQ Pork buns alone! You must if you’re ever in Hong Kong! The buns were really really good, and different from the normal fluffy white buns you see! OMGOMGOMG this all looks amazing!!! I didn’t even know there was such a thing as a “cheap” Michelin Starred restaurant! I seriously need to get over to Hong Kong and go to this restaurant! It all looks amazing. I also love that his vision is to make quality food affordable for all! I wish more places followed this philosophy! Seriously!! I couldn’t believe how cheap it is! Especially since I can tell that the food is all fresh and good quality. And now I can officially say I’ve been to a Michelin restaurant! I was still busy trying to wrap my brain around the not liking dim sum statement when I got distracted by all that deliciousnous. How did I not dine here when we were in Hong Kong? Thanks for the photo of the storefront since I cannot read Chinese. My son LOVES BBQ pork buns, but we’ve never had them with condensed milk on top. Oh nooo I’m so sorry you missed this in Hong Kong! Yes, thank goodness I had a picture of the storefront to refer to, because I would have just walked right by it. It actually didn’t even occur to me that Tim Ho Wan would have a Chinese name, lol! Mmm… I love your food posts because I’ve never heard of half of these dishes but they look and sound delicious! (except the chicken feet, sorry D!) And those pork buns… yumm!